On Wednesday June 3rd, a South Korean man became the third confirmed MERS death in South Korea, following the virus’ initial appearance in the country two weeks ago [1-4]. The 82-year-old man had shared a room with MERS patients for several days [1-4]. Although originally admitted into the hospital with asthma and bacterial pneumonia, posthumous tests confirm that the deceased was in fact infected with MERS-CoV [1-3]. By Sunday, June 7, 2015, at total of 64 individuals were confirmed to be infected with MERS and 5 people have died from MERS in South Korea [1-9]. Thousands of individuals are under quarantine [1-9]. MERS-CoV, also known as Middle East Respiratory Syndrome Coronavirus, is a severe acute respiratory illness . Because MERS is part of the coronavirus family, which also includes SARS (Severe Acute Respiratory Syndrome) and the common cold, symptoms and modes of transmission are similar . 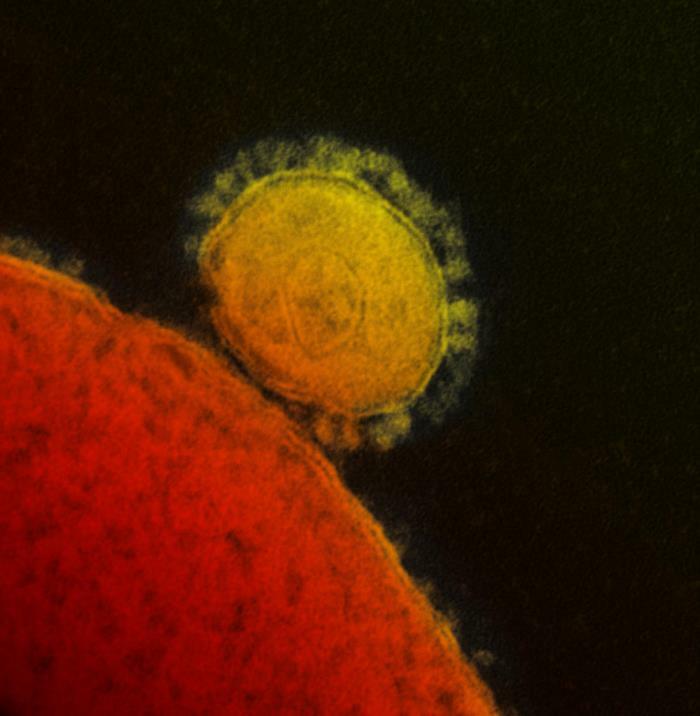 Individuals infected with MERS develop acute respiratory illness and generally display the following symptoms: fever, cough, and shortness of breath . As the infection progresses, serious complications such as pneumonia and kidney failure often develop . The case fatality rate of MERS ranges from 27 to 28% [2,4,8]. The virus is spread through close contact with an infected individual . For example, individuals caring for or living with an infected person are at risk. However, to date there has been no evidence of sustained person-to-person transmission . Anyone can become infected with MERS, but individuals with pre-existing conditions, such as diabetes or cancer, may be at an increased risk or develop a more severe form of the disease . The incubation period is believed to be 5 to 6 days, but can range anywhere from 2 to 14 days . Therefore, individuals who travelled to a country with MERS within the past 14 days and are displaying these symptoms should be tested for the MERS virus. MERS was first reported in September 2012 in Saudi Arabia, but it is believed that the first case occurred in April 2012 in Jordan [1,8]. Since then, there have been 1,167 cases of MERS worldwide, 479 of which resulted in death . The majority of these cases have occurred in Saudi Arabia and other countries surrounding the Arabian Peninsula; however, a few imported cases have also occurred . These imported cases generally occur among travelers who have brought the virus back to their own country, resulting in one or two secondary infections . South Korea is currently experiencing the largest MERS outbreak that has occurred to date, outside of the Middle East . The index case was a South Korean man who most likely contracted the virus while travelling to several Middle Eastern countries - Saudi Arabia, Qatar, the United Arab Emirates, and Bahrain - before returning to South Korea on May 4th [1-4]. The 68-year-old man sought treatment from two different clinics and two different hospitals, prior to being diagnosed with MERS on May 20th . Travel and time to diagnosis created ample and various opportunities for healthcare workers and patients to come in contact with and become infected with the virus . Furthermore, because MERS was not suspected, the patient was not treated in isolation, allowing for the spread of the virus . Since May 20th, there have been 64 confirmed MERS cases in South Korea [1-9]. These diagnoses also include healthcare workers who were treating MERS patients . Most of the initial 35 cases had either been in the same ward or shared a hospital room with the index case, while others were exposed through secondary transmission . However, health officials have been able to trace all cases to the index case [1,6,7]. All cases are healthcare workers, patients or visiting family members who contracted the disease while staying at a healthcare facility . In South Korea, it is common for family members to take care of patients, often staying with them in their hospital room . This close contact allows for easy transmission of the virus. Since there is no vaccine or antiviral treatment currently available, basic hygienic practices are the best way to prevent MERS infection . This includes frequent hand washing with soap for 20 seconds; avoid touching ones eyes, nose or mouth with unwashed hands; covering ones nose and mouth with a tissue when sneezing or coughing; avoid personal contact with sick individuals; and frequently disinfect surfaces and doorknobs . To further prevent transmission of the virus, infected individuals should be isolated . People infected with MERS should avoid going to work, school or public areas; avoid using public transportation or taxis; and inform their physician of possible infection prior to visiting the hospital . What is Being Done in South Korea? In an effort to help prevent further transmission of this potentially deadly virus, the South Korean government has been tracing and contacting anyone who has come into contact with one of the confirmed MERS patients . As of June 5, 2015, more than 1,660 individuals are currently being held in voluntary isolation [1-4]. These individuals are either being quarantined in their home or in state-run, medical facilities, where they are being monitored for the disease . Those being quarantined at home have been instructed to remain within their homes and limit contact with other people . However, home-based quarantine has not been entirely successful. China reported their first case of MERS last week when a South Korean man violated his quarantine and travelled to Hong Kong, as well as mainland China . As a result, approximately 7,000 individuals from Hong Kong, China and Japan have cancelled trips to South Korea . Additionally, countries such as Japan are debating implementing possible quarantine measures for individuals arriving from South Korea . On Thursday, June 4th, Seoul city officials asked 1,565 individuals to undergo voluntary quarantine . These individuals had gone to a conference in the Gangnam District on May 30th, which was also attended by a physician who tested positive for MERS on June 1st . In another effort to prevent the spread of MERS, more than 1,160 kindergartens, schools and universities have temporarily shut down [1-7]. As new cases of MERS continue to emerge, general panic and alarm is spreading throughout the country . In cities such as Seoul, individuals riding subways or hanging out in crowded places can be seen wearing face masks to protect themselves against infection . Despite these efforts to control the spread of MERS in South Korea, the World Health Organization has warned that the outbreak is likely to grow .